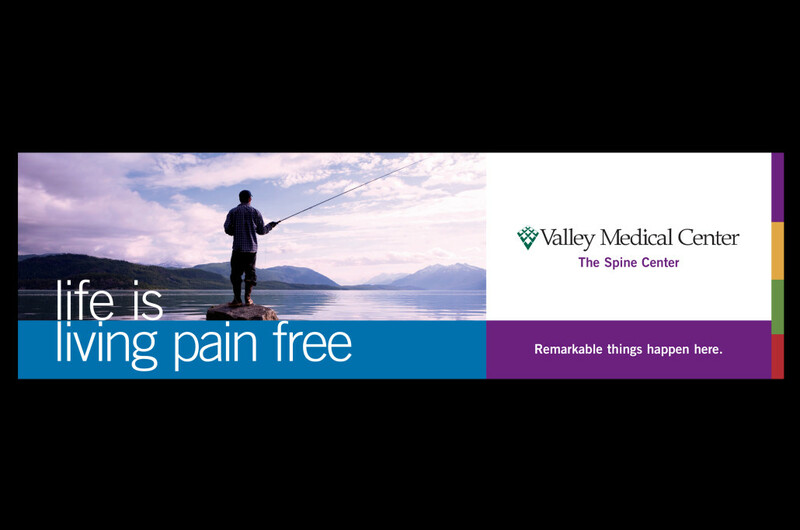 Problem: To create the overall branding position for Valley Medical Center, establishing VMC’s story as a local and state leader in healthcare. 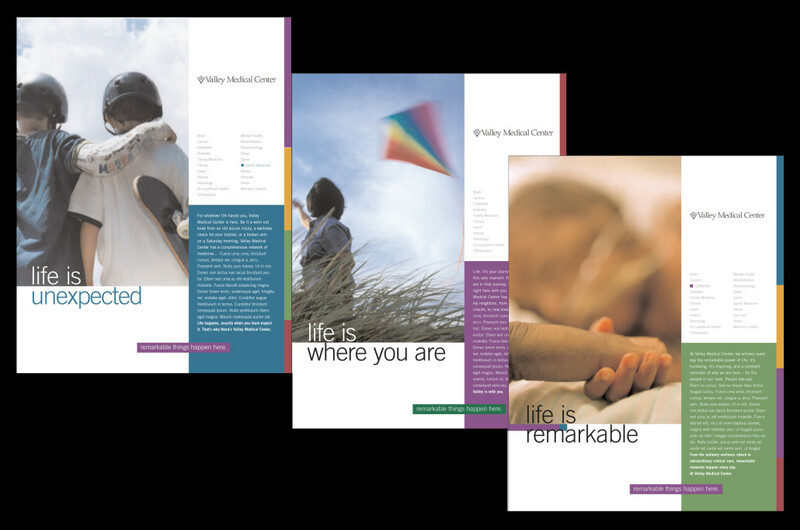 Solution: We came up with the overall concept “Life is…”, such as “Life is unexpected”, “Life is remarkable”, “Life is living pain free” coupled with the overall design direction using five established colors, a strong photo concept and a gridded layout format. 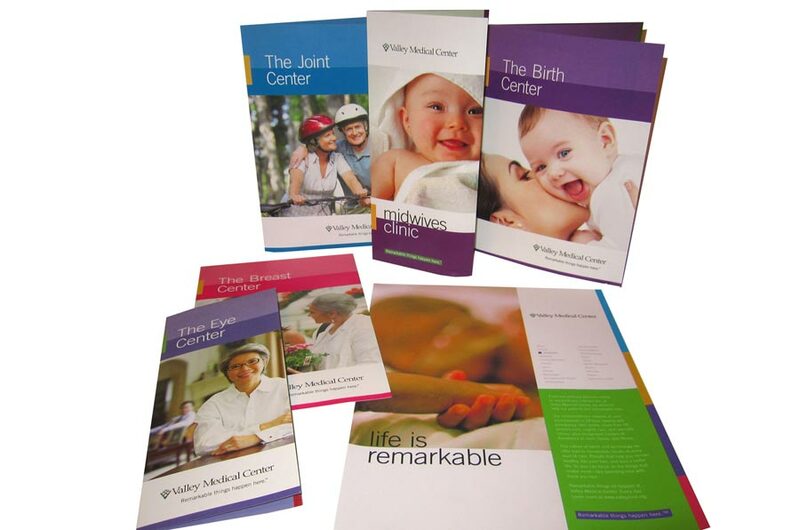 We created templates for each marketing vehicle including the website, email advertising campaign, outdoor boards, 12 Clinic brochures, 14 Center’s brochures, internal and external signage and posters, internal and external advertising. We Art Directed the photo shoots for the advertising and TV commercial campaigns. We also created video’s for the website. The project ended with the creation of the 62-page VMC Style Guide.